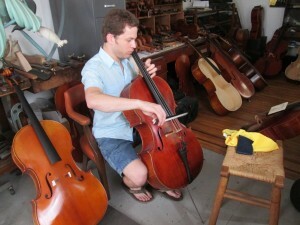 Yoni Dreilbate plays an interesting cello on loan to him from Temple – where he is a grad student of Jeff Solow. It was made by Joseph Condax in Rochester in the early 1960’s. He was a cellist and an amateur maker- this example is a charming Montagnana -esque work – shorter body length -nice breadth ….the start of a good sounding cello. The problem has been that it is languishing with a low neck angle that just doesn’t give it the tension it needs to project all power and color that it has to give. 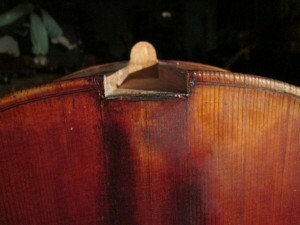 In this case the fingerboard was very thin – so with a new fingerboard that is fashioned to heighten the neck angle – which then makes possible a higher Belgian bridge and fitting a new soundpost and the cello is now much bigger and bolder sounding….perfect for a talented,vigorous player. In fact Yoni won the principal job of the Annapolis Symphony on the cello before the major improvement – a testimony to his ability to make even a poorly adjusted cello sound good. I have greatly enjoyed working on the fine cellos owned by Jeff Solow – and appreciate the passionate intensity that he brings to the performance of his instruments and the demands he places on them. He is more intimately involved in the performance and subtle, fluctuating qualities of sound in his cellos than anyone I know – and his pursuit of the best is relentless. I also appreciate his belief in me to bring the same passion and intensity to the instruments that will be used by his promising students. 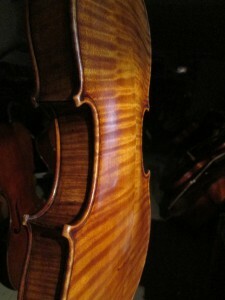 Paul Bailley (pronounced By-Ee) has wonderful violin pedigree. He was born in Mirecourt in the mid 19th century and grew to study with Galliard – later with N F Vuilluame in Brussels – and his illustrious brother J B Vuilluame in Paris. 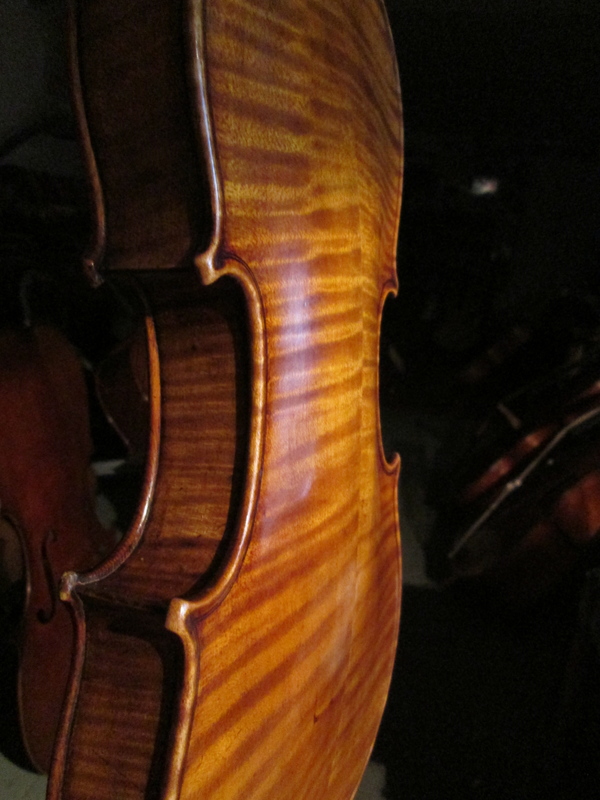 He had a peripatetic working life – moving all over France,London, briefly in America, back to London and finally to Paris for the final chapter of a long,prolific life of making fine instruments.His best work was done on the Stradivari model – this example shows working in a bold,free way …but with deep understanding. 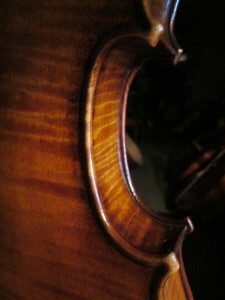 It is a robust Strad copy for which he is justly famous. 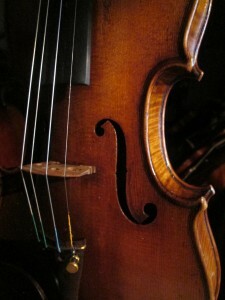 This fine violin is being offered for sale. 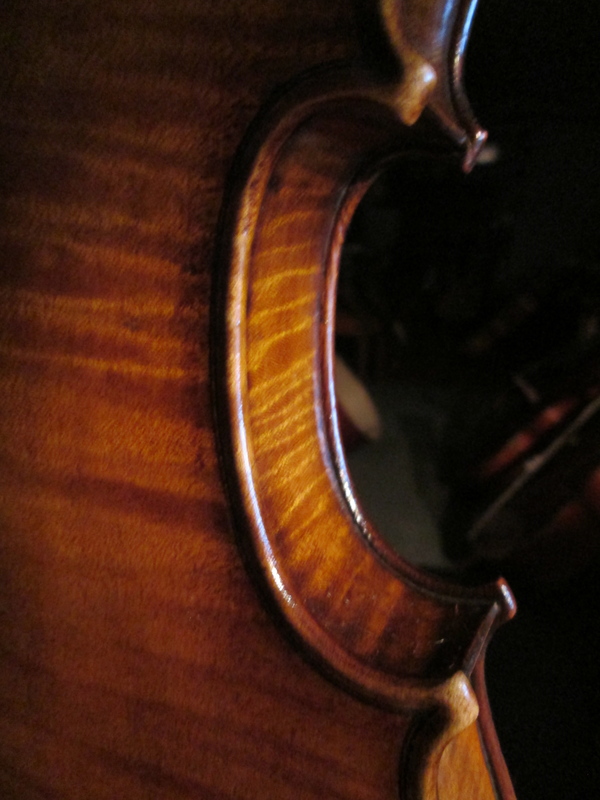 Its always a treat to spend some long evenings with a fine cello from this great master. 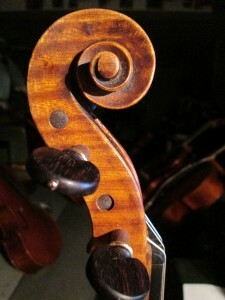 This particular instrument is played by the principal cellist of the Philly Pops. 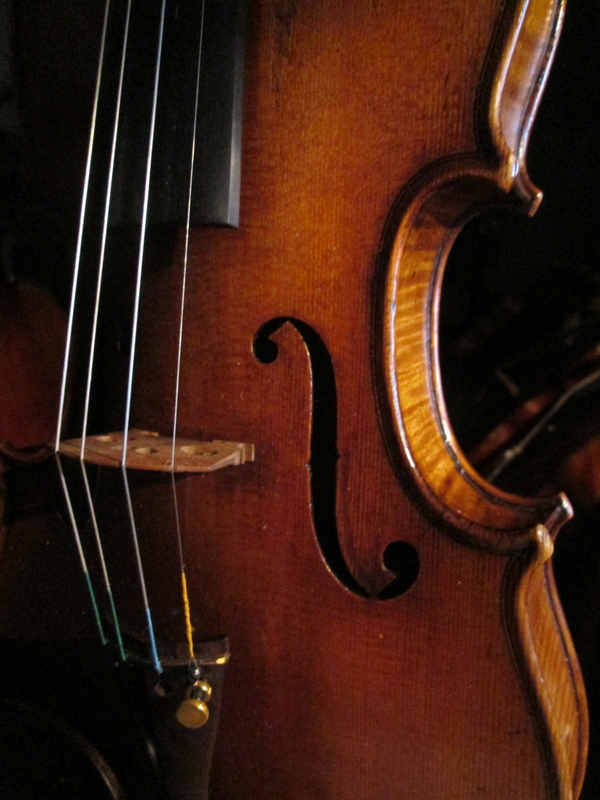 Necks are under the constant strain of the immense string tension needed to bring things up to pitch….old instruments now and then need to have the neck reset to keep them performing at the high level they exist in.